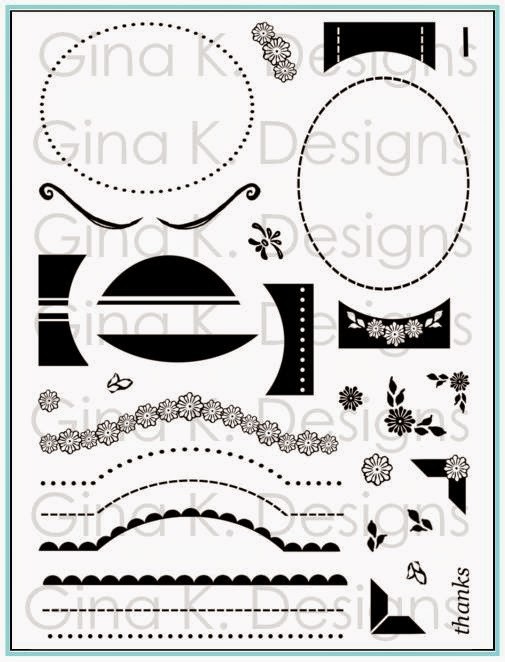 Gina K. StampTV Kit Now Available! I was only able to make it to the tail end of our release party last night, but I did manage to show a few cards before peeps left! 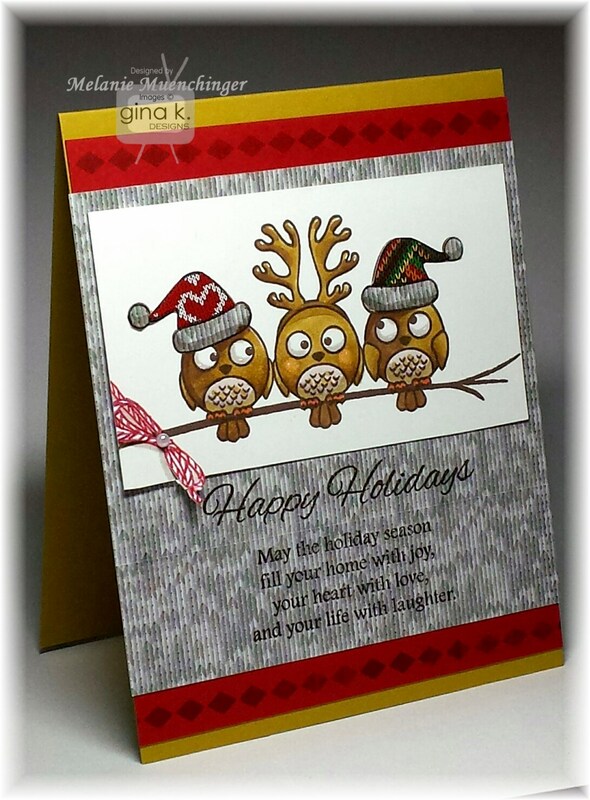 Here is one with the new Sparkling Christmas StampTV kit using this festive owl image! I paper pieced the knit hats using several patterns from the knit prints patterned paper pack, FREE when you place an order of $75 or more! Doesn't that large mat look exactly like I pulled a furry sweater over this card? I used my BG3 Spectrum Noir marker (W5 for Copic users) to draw a shadow to the bottom of the hats to add dimension, this always spices up your paper piecing! 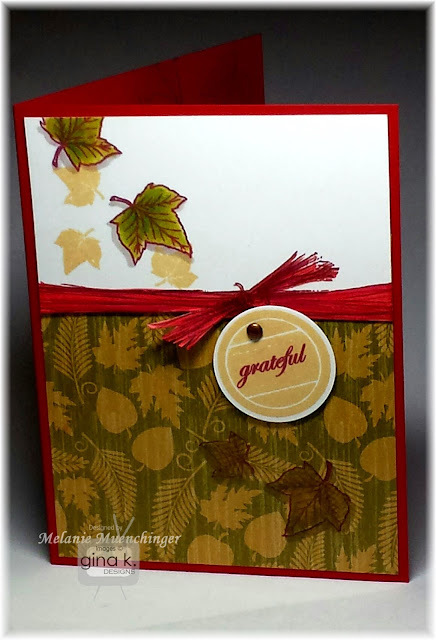 Cardstock used here (Prickly Pear, Cherry Red, and White) is included in the kit. I also thought the end of the branch needed a little sumthin' sumthin' so I inked up just the tied bow from my twine border in Triple Play Holiday. 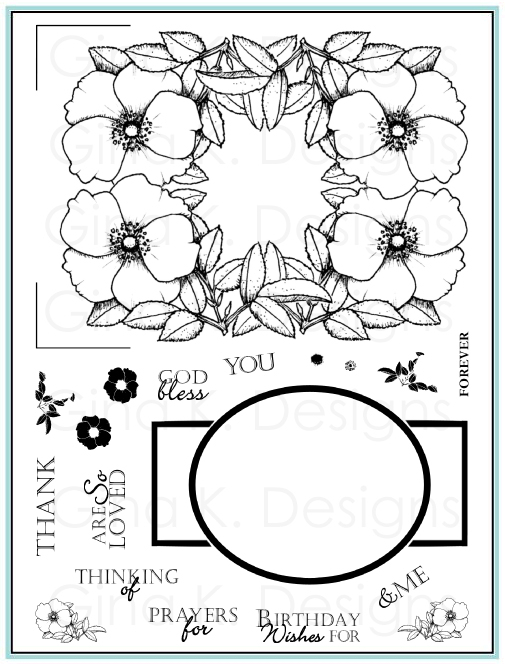 I used the diamond border from that stamp set as well to add more interest to the layers. Have a great weekend, and a fun, safe Halloween! Inspiration hop with the Gina . design team Monday! Hello! In today’s video, I will show you how to add multiple colors to the vine in Theresa Momber’s Vine & Butterfly set with the rock and roll technique. The vine in this set nest beautifully inside the stamped frame from Triple Play Frame. 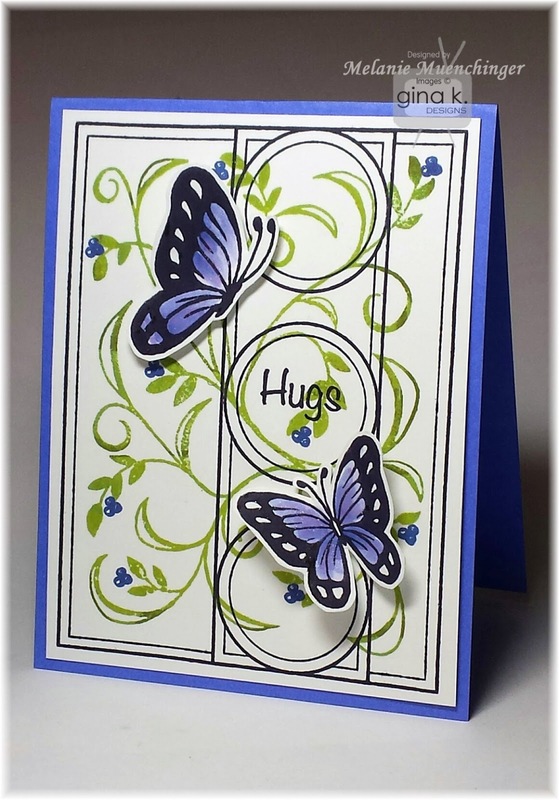 I will show you some easy watercoloring with an ink pad for the butterflies. Berry trio from Triple Play Holiday is the perfect two step accent for pops of color on the vine! Please enjoy! Isn't it interesting how purple this blue ink turns when you add water? I love it! 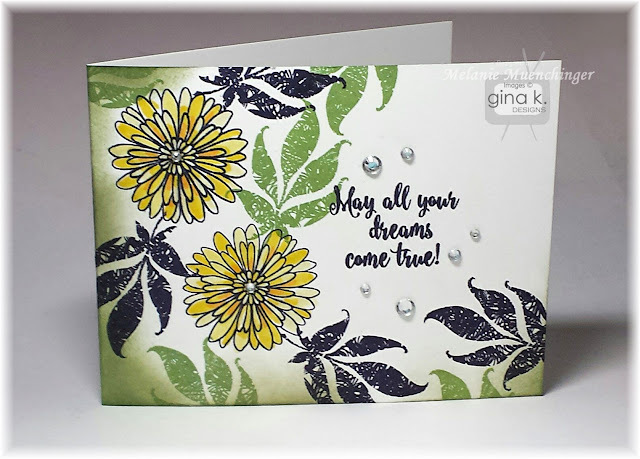 Video: Stamped Raffia, Tips & Tricks! Hello! In today's video, I'll show you how to create different looks with the raffia stamp in Triple Play Holiday, as well as how to save time and get great results with this image, even when you aren't using it with the coordinating Triple Play Frame. 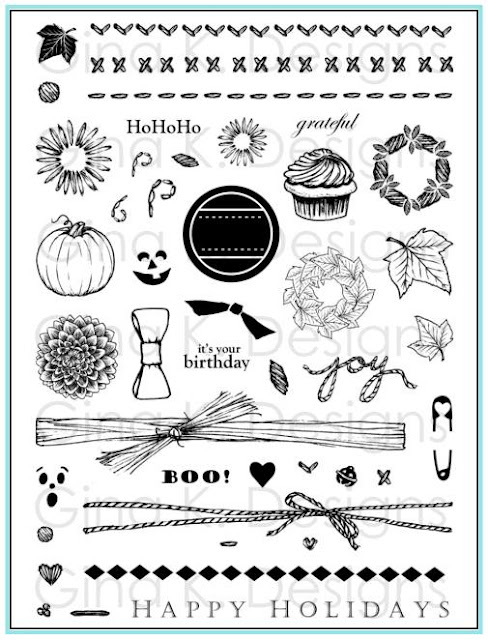 This stamp is so versatile, which quickly and easily adds interest, texture and a faux layer to any project. 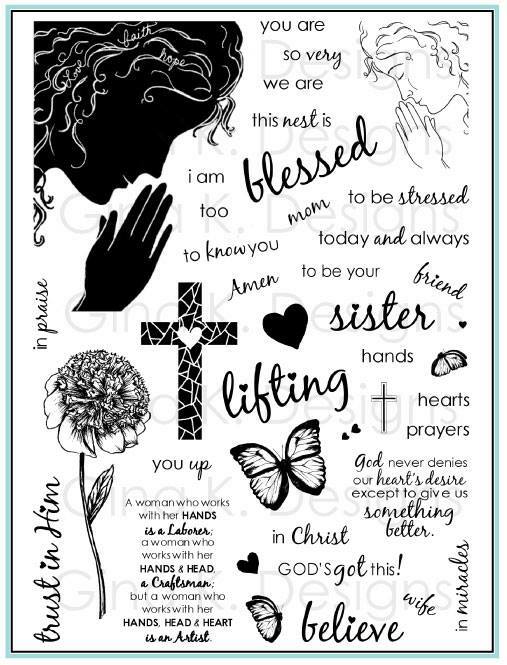 Perfect for masculine cards, and fabulous year round! Good morning! Today I'll show you how you can create your own custom vines, like I did on the Jelly Bean Green card earlier this week (thanks for all your comments!) 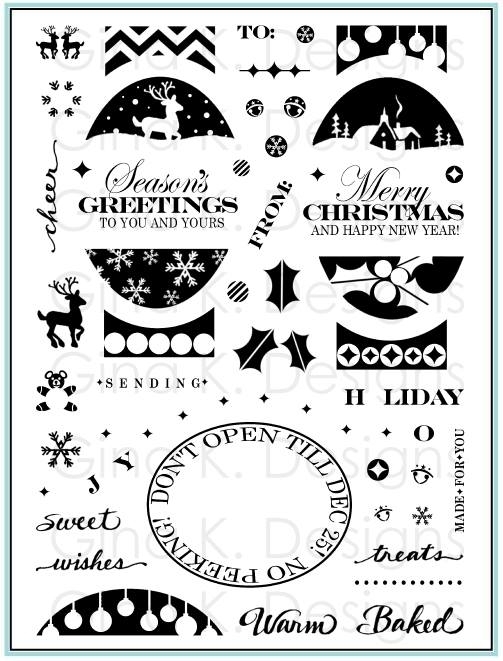 with the stitched elements in my Triple Play Holiday stamp set. This time in some Christmas colors! The clear stitched border is flexible and allows for bending it in the configuration you need for your design, and the included images add beautiful detail, color and balance to your layouts. This is a 5 minute card, but dding a simple drop shadow with a marker (1 minute!) adds so much dimension, you'll have to touch it believe they aren't raised stitches! These versatile stamps are must have your projects. Don't you love this look? And so fun to design your own. Greeting is from Beth's This & That. Please enjoy! Good morning! The Cast and Crew for Gina K. Designs welcomes you back for our final Inspiration Hop for our September Release! 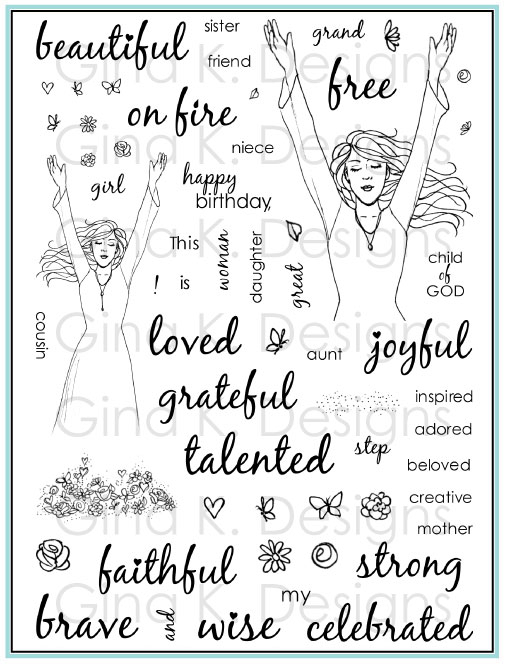 Enjoy the gorgeous inspiration samples from the team with exclusive sets Gina used at the Bella conference which can now be yours, too, like you were there! :) Be sure to comment on each blog for your chance to win an awesome grab bag of GKD goodies! !! To see who won, check the Big News Forum at StampTV a few days after the hop. 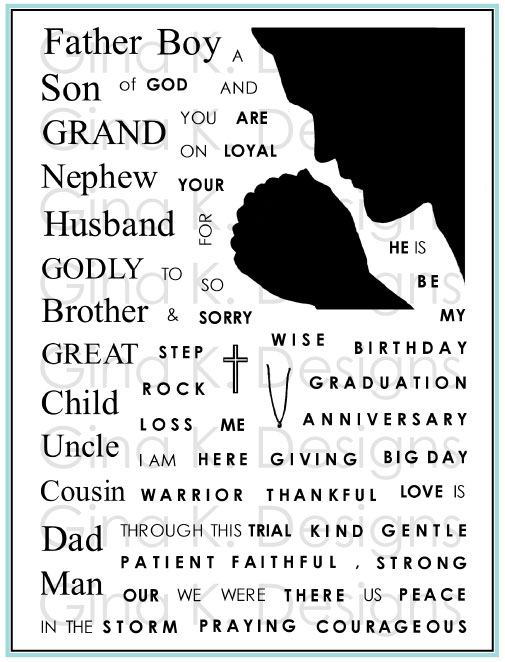 Love the sweet images and sentiments in this set in You've Got a Friend in Me! (Can't help but think of "Toy Story" whenever I read or hear that! In the best way possible!) Trees, greeting and twine (from Triple Play Holiday) are stamped in Dark Chocolate, and the stitched row on both layers (love this stamped stitching as an accent, but also to suggest grass) is stamped in Fresh Asparagus. Leaves are colored with Spectrum Noir markers, OR1, GB8, DR3, GB4, and CG2. I added a drop shadow (BG3) to the twine for dimension and little heart charm (also from Triple Play Holiday), stamped in Red Hot. 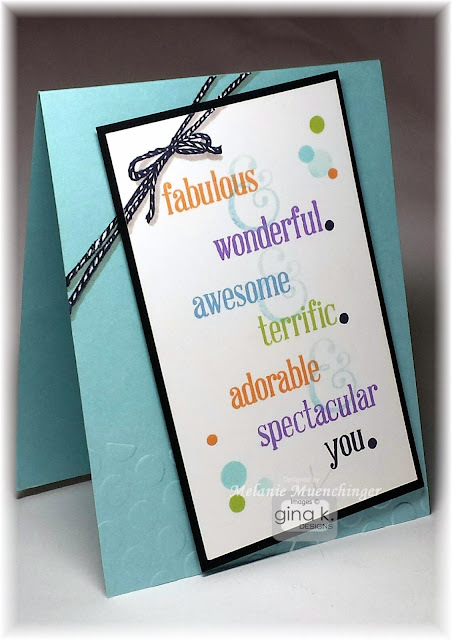 Cardstock is Pure Luxury White, Kraft and Dark Chocolate. Next up, we have Wild Blossoms! Love this single layer card with it's romantic flowering vine! I stamped the vine in Dark Sage and stamped off to create the lgihter vine. 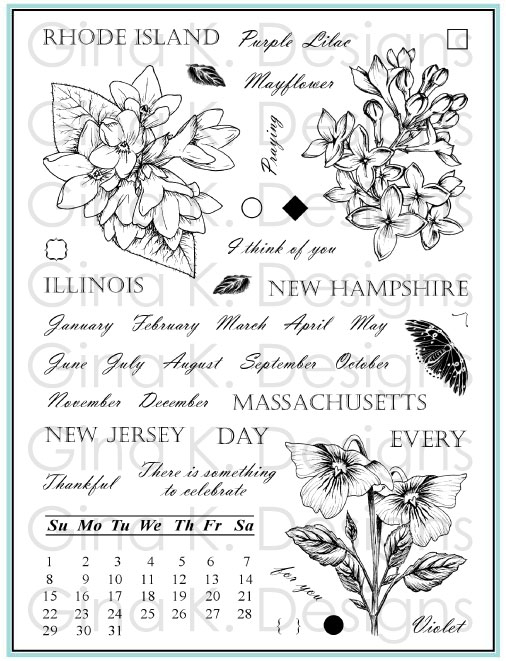 I two step stamped the different blossoms in Peach Bellini ink and added just a few lines of Spectrum Noir to accent them. Greeting is stamped in Dark Chocolate. 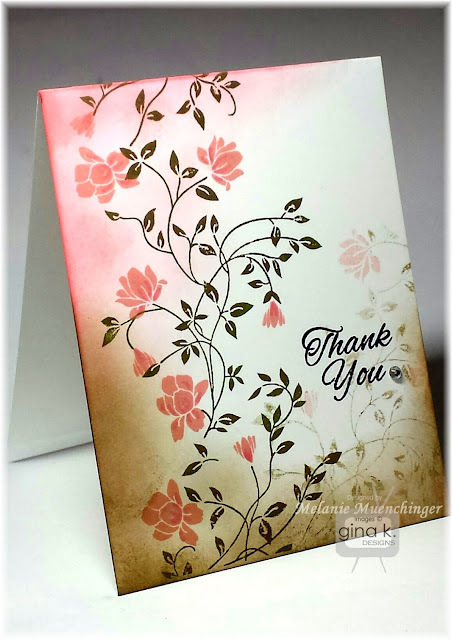 I added some Wink of Stella glitter pen to the blossoms and sponged with the peach and sage inks. One little adhesive rhinestone, and that's it! Ready for more creation with these sets! Please enjoy! Thanks for visiting today! Good morning! The Cast and Crew for Gina K Designs is back with another fabulous Inspiration Blog Hop! 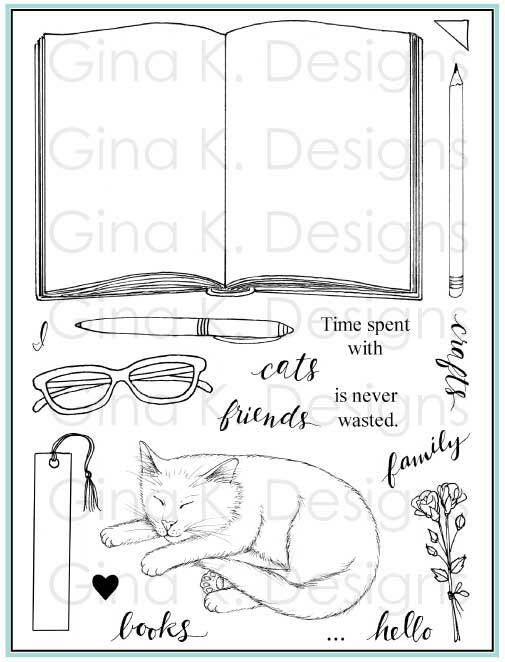 More projects for our September Release stamps sets, so please enjoy the gorgeous inspiration samples from the team and then comment on each blog for your chance to win an awesome grab bag of GKD goodies! To see who won, check the Big News Forum at StampTV a few days after the hop. I tell you what, the silhouettes in the Simply the Best set just have the coolest, most interesting textures! I stamped this leaf in both Black Onyx and Grass Green, and then colored the flowers with Spectrum Noir markers, LY3, CT4, GB4. 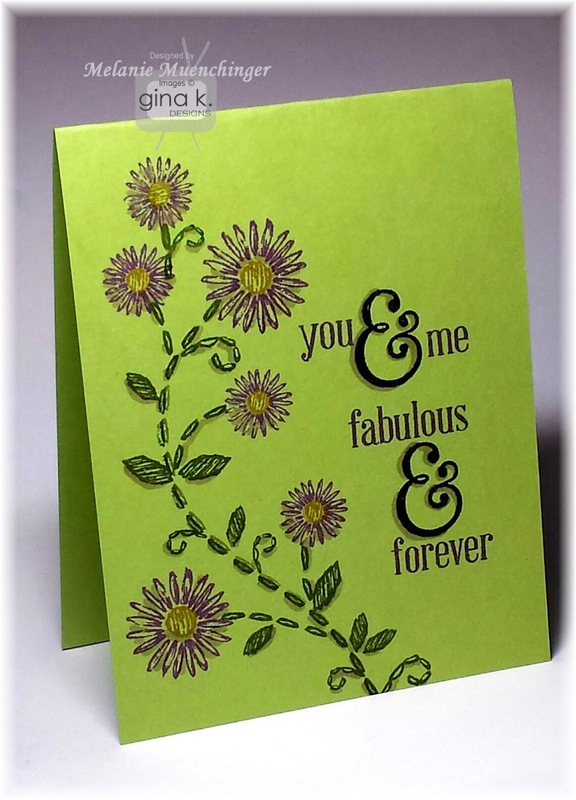 I accented the flower centers and around the greeting with adhesive rhinestones. Next in Beth's Silaika's This & That, I love the three big scroll-y ampersands you have to choose from that work with so many different images, and all the fun words in a font that is both classic and modern. 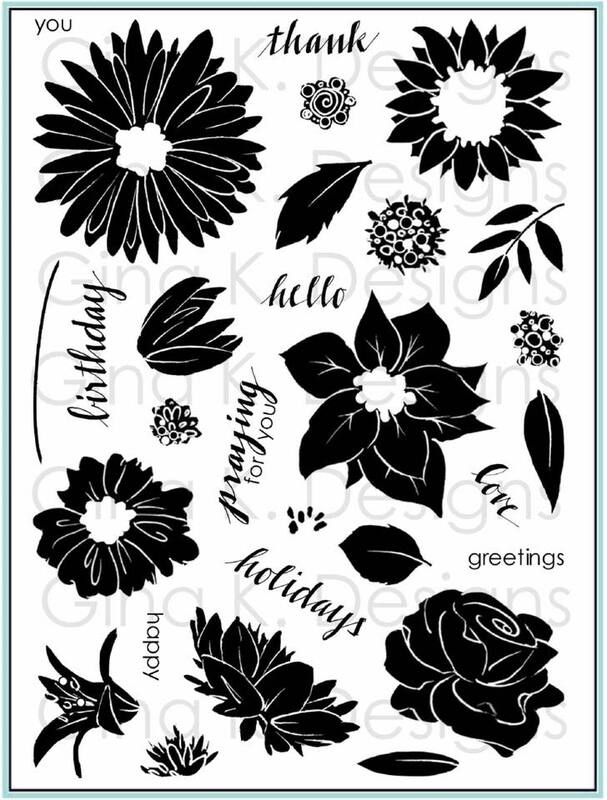 Tons of combinations and orientations to be made for your designs with these greetings! These are stamped in Sweet Mango, Wild Lilac, Ocean Mist and Jelly Bean Green. I stamped off the Ocean Mist ampersands so it would be easy to read the overlapping sentiments. Love the circle accents! 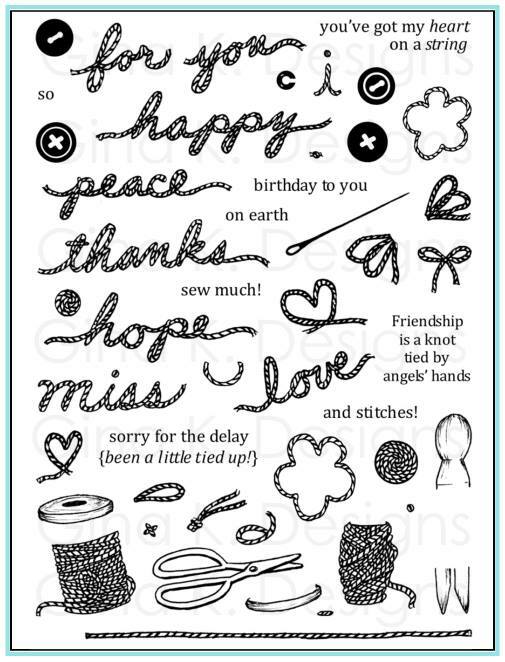 To finish, I stamped on the bakers twine from Triple Play Holiday (dotting in whit gel pen to the twine on the colored base) and embossed the bottom corner with a dotted folder to add more texture and match the stamping. A drop shadow on the ampersand by simply tracing with your marker is fast and really makes these sentiments pop. 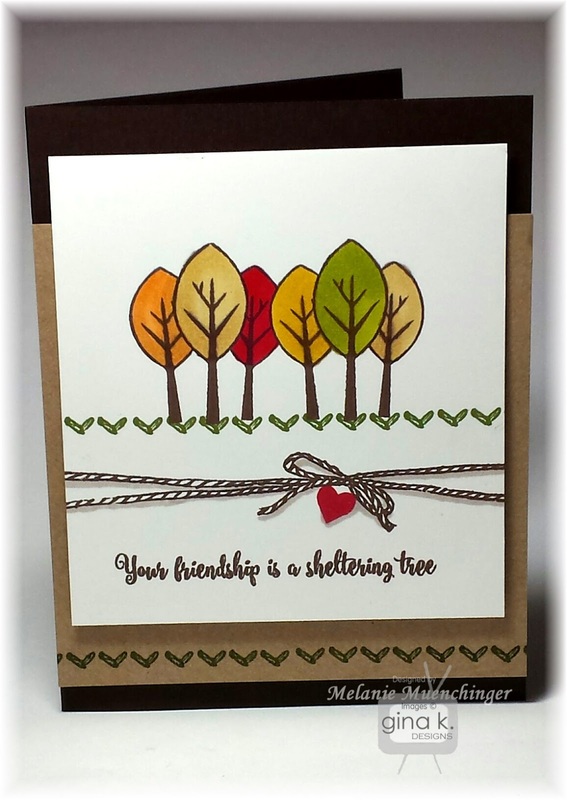 (Video coming up showing you how to create the stitched vines with the Triple Play Holiday set!) 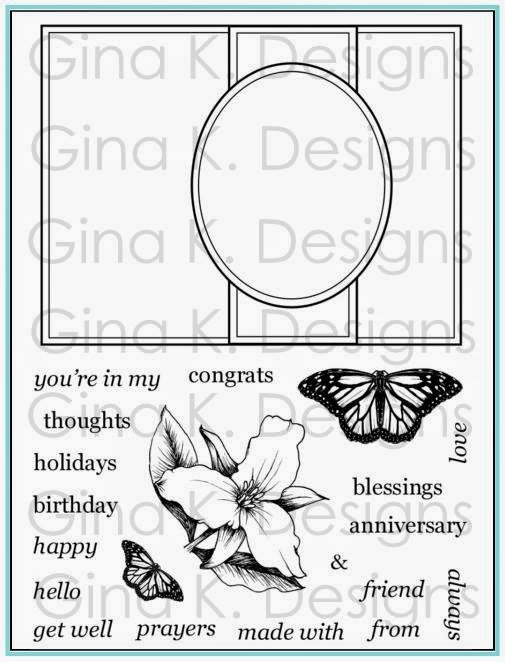 Sentiment stamped in Wild Lilac and Black Onyx and flower and vine in Wild Lilac, Prickly Pear, and Fresh Asparagus on Gina K. Pure Luxury Jelly Bean Green cardstock. Ready for more awesome creations? Just click on the links below for more from the Illustrators and Design Team! !